FlatCat on a "Gretch 1883" guitanjo by Lee M.
Notice the common-sense installation methods in the photo below. 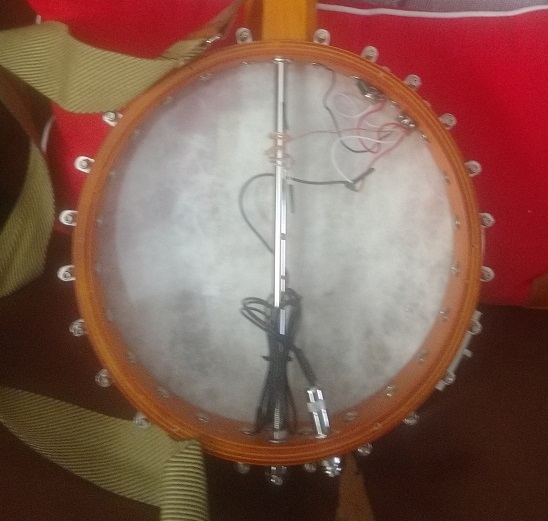 The FlatCat wires were run through the guitanjo head and over to the control pots, which are installed in the upper top side of the instrument. 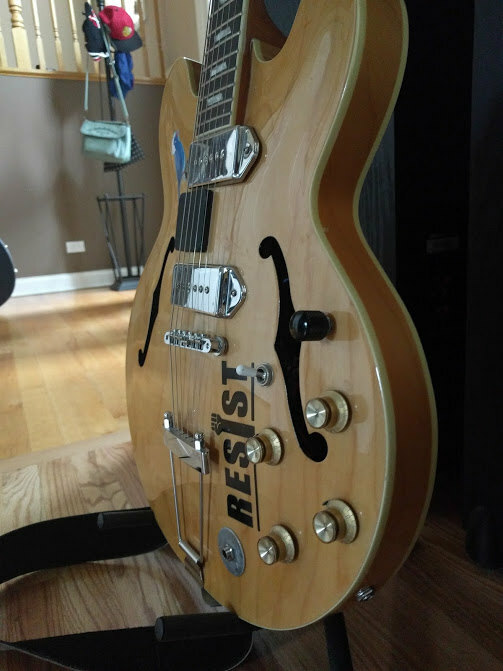 The outer drum tuners are grounded (good choice) as are the strings. The wires running to the extended, through-body jack are wrapped around the central metal support to reduce RF/EM interference, significantly cutting potential hum and noise. 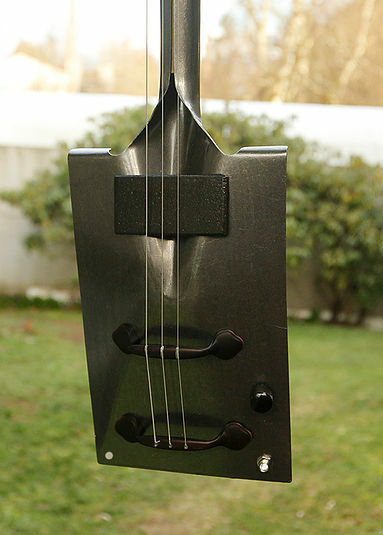 Phillip used a CBG FlatCat to emphasize the lower three strings on his Gibson guitar by offsetting the smaller-than-normal pickup to one side. He reports being very pleased with the results. 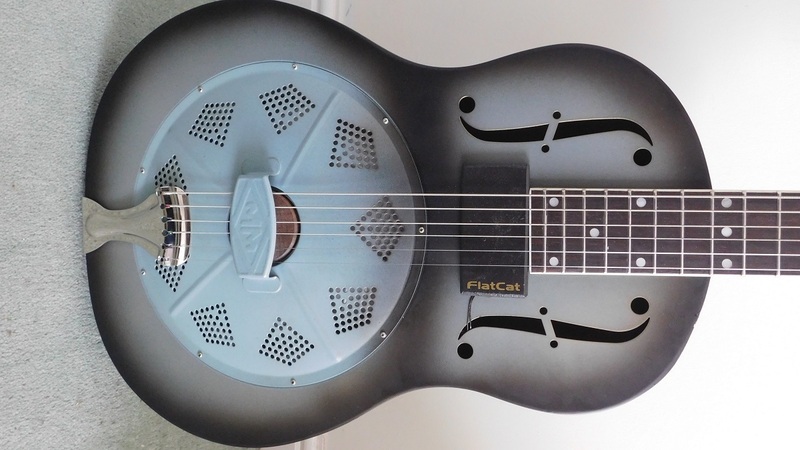 This dandy guitar uses a Molten Iron FlatCat and cranks out some amazing sound. The Molten Silver color goes well with the palm rest. Beautiful job. 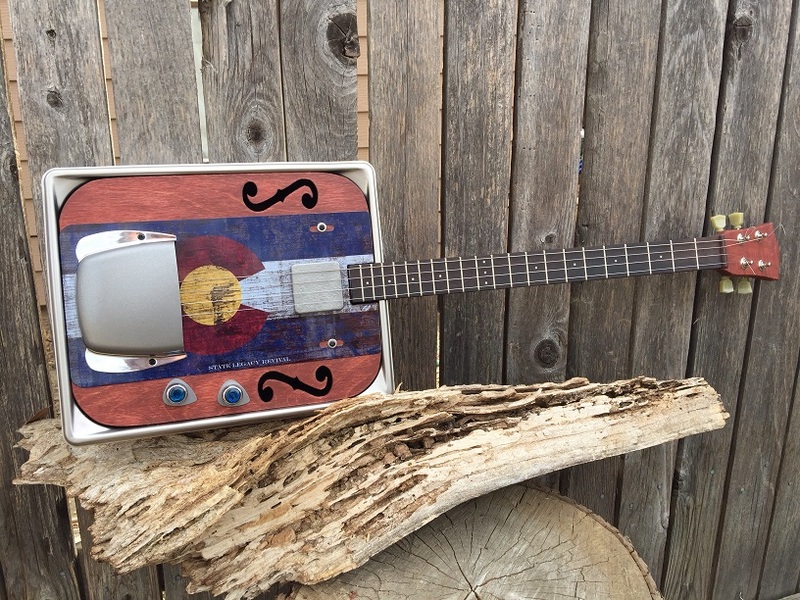 Cigar boxes can be difficult to come by in some areas; Jim uses a cake pan for the back of his guitars. 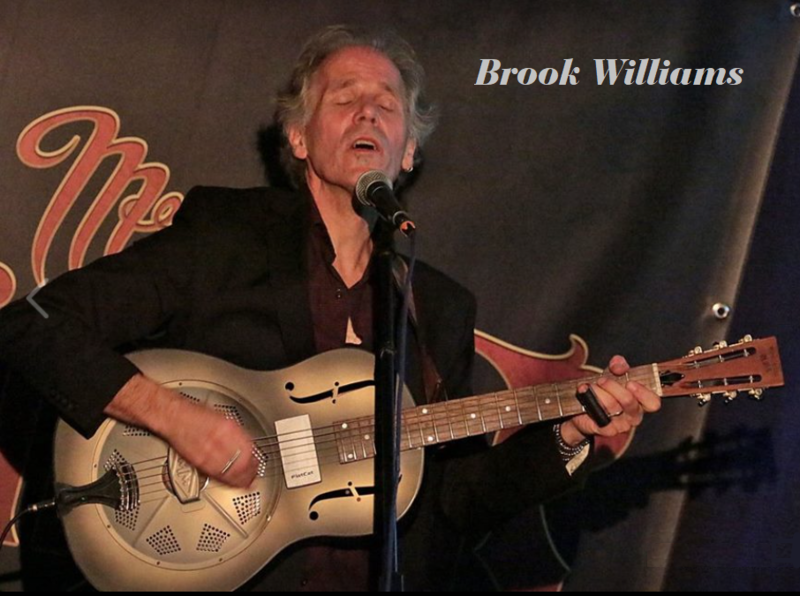 Brook Williams with his FlatCat-based resonator. 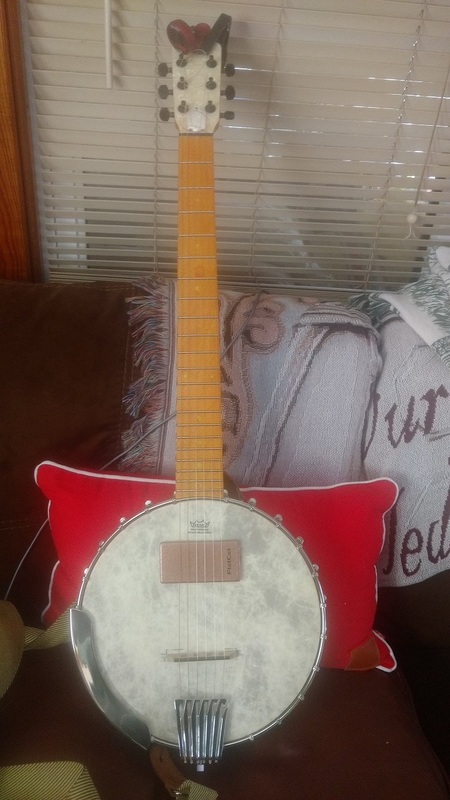 4-string CBG by Kevin. - Old canning Ball Jar opener for the tailpiece (handy bottle opener at the end! ), drawer handle for the bridge, walnut neck, skeleton Key nut. 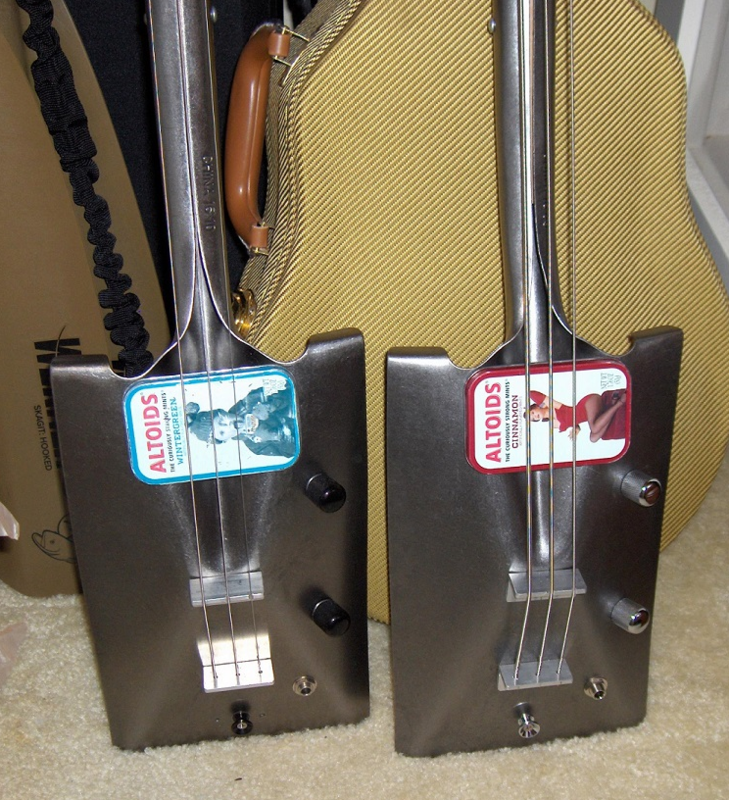 Shovel-based guitar by Ken C.
These antique collectors-item tins were supplied by the customer and turned into guitar pickups. 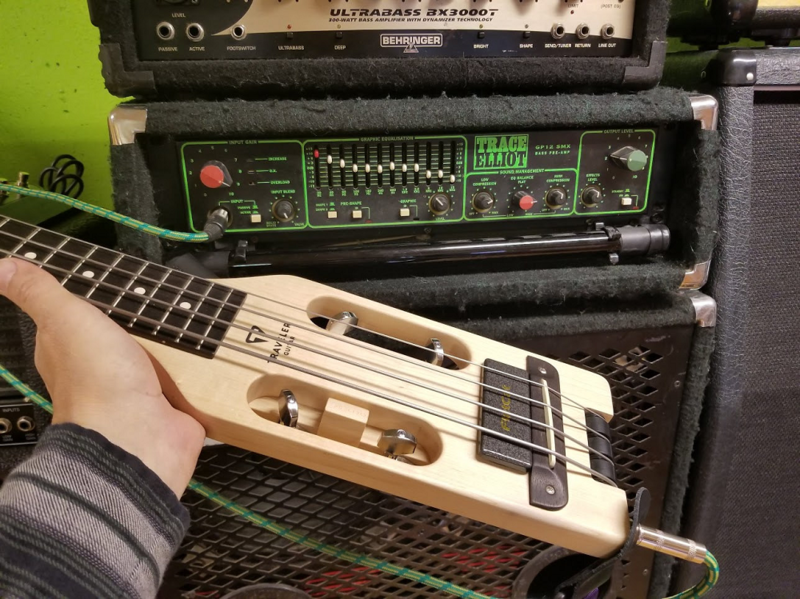 Customer review: "This pickup is perfect for my slide shovel guitar, fit like a glove n extremely clear n loud, lowest setting on my Peavey Amp will wake the dead." I'd like to thank these customers for taking the time to photograph their finished instruments so we could all see the results. Fine looking work. 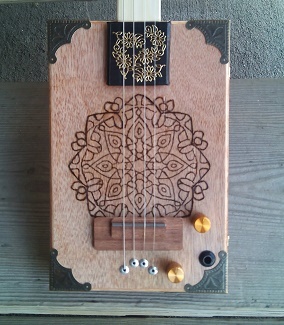 There's just nothing like personal creativity to enhance an instrument... or create something totally new!